1. Get stuck into the markets! Where? There are SO many! Try Mercado de Santa Caterina (Av. de Francesc Cambó, 16), Mercat de la Concepció (Carrer d’Aragó, 313-317), and of course La Boqueria (La Rambla, 91). Why go? 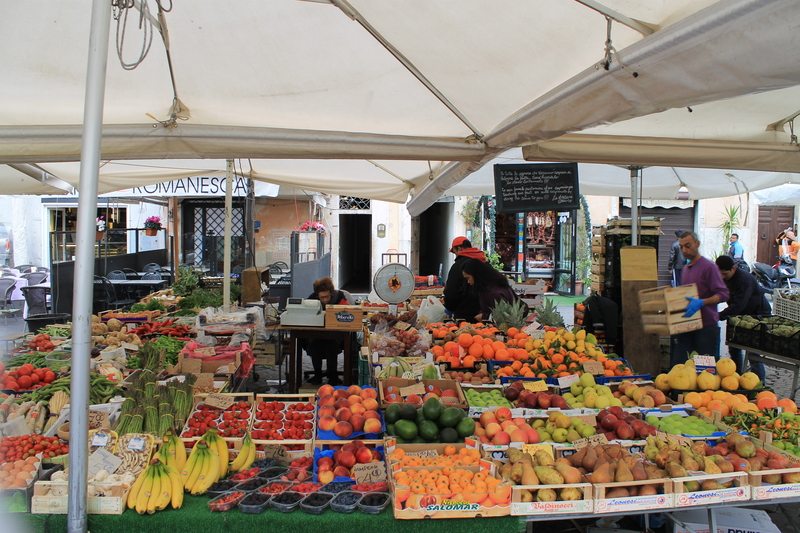 Because there’s no better way to get to know a city than by visiting the markets! You can get a taste of the food, the people and the culture all in one hit, as well as some more unique souvenirs than what you’ll find in stores. How long will you need? As long as you can spare! At least an hour per market is ideal. Cost? Depends how much you’re planning to eat and buy! They’re pretty well priced, though, so you won’t have to blow a heap of cash to come out with a full belly. Where? La Rambla, a large pedestrian walking street. Why go? Back in the ‘old’ days, people used to go out and promenade of an evening; basically, walk up and down the street, seeing who else was out, enjoying the fresh air. La Rambla is perfect for an afternoon or evening promenade, because not only is it beautiful and always busy, but there are lots of little gelati stalls lining the walk. How long will you need? How much gelati can you eat? Cost? A few euro will be more than enough for a gelati. Why go? 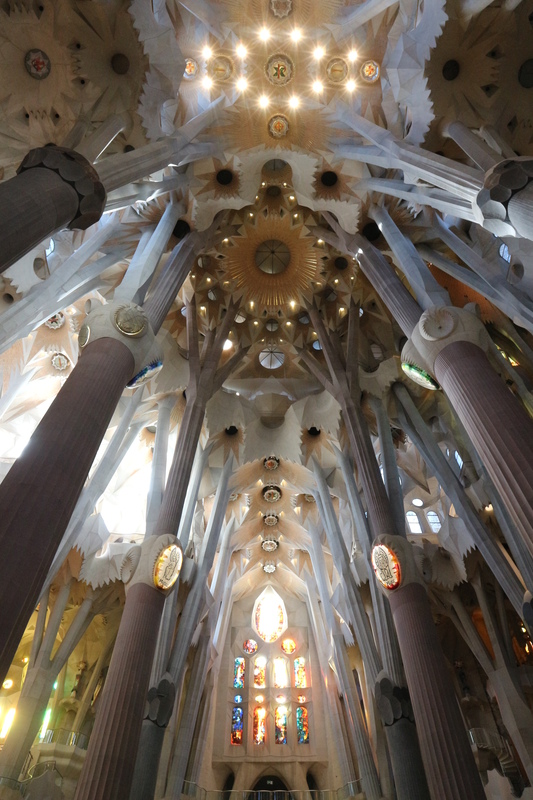 You don’t need to know anything about architecture to appreciate Gaudí’s work. These sites are all magnificent, all marked by that distinct, colourful mosaic tile work people so often associate with Barcelona. Walking through these places feels like a stroll through a movie set, and while the designs all have similar elements, they all feel so different. 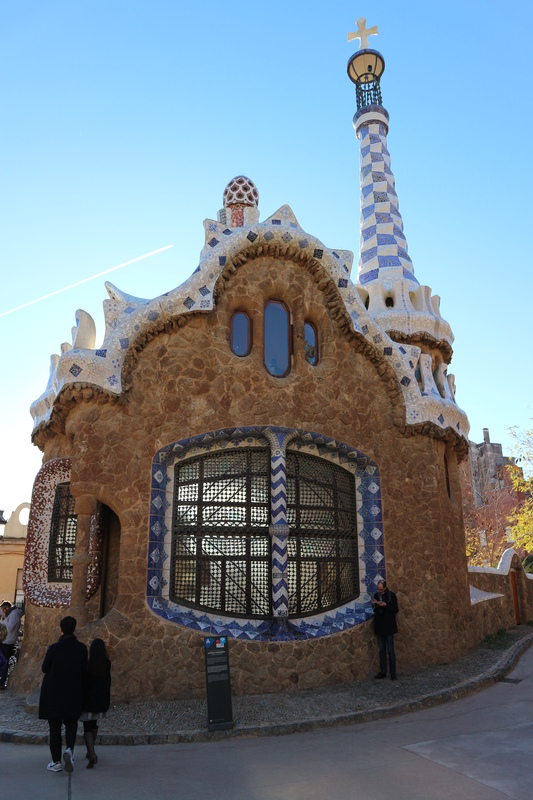 Maybe you’ve heard of Gaudí before, but after you visit, you’ll get why he’s such a big deal. How long will you need? At least 2 hours for the bigger sites that require tickets. Cost? Anywhere between free for places like Casa Amatller, where you can admire the façade free of charge, to around €25 person for a fast pass entry to Casa Batlló. Where? Stretching out from La Rambla to Via Laietana. Why go? This is the best part of the city, for my money. The streets twist and wind in no real order, and there is SO much to see if you’re ready to spend the time getting lost there. How long will you need? Spend at least half a day wondering the Quarter. But once you’ve been there, you’ll want to head back again. Cost? Walking and window shopping are always free! Why go? 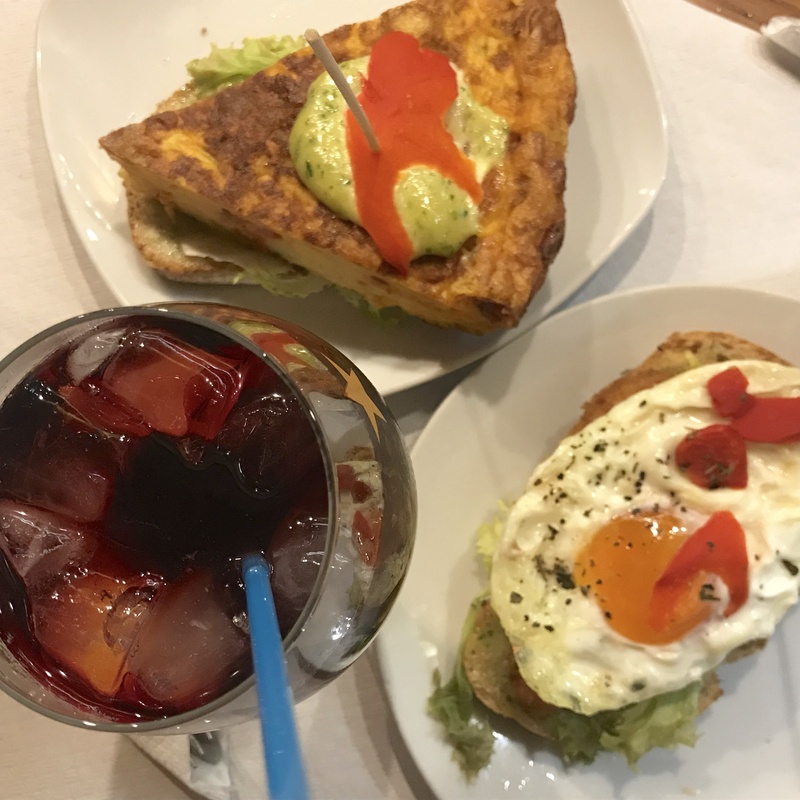 Tucked away in the heart of the Gothic Quarter, this is the perfect place to indulge in one of the best Spanish pastimes – the tapas are freshly made and the sangria is the best in the city. How long will you need? Spend at least an hour to slow down and enjoy the time out. Cost? About €5 for a glass of sangria and a few euro per tapas plate. Why go? Not only is this an incredible museum with fantastic exhibits, it’s also set in a palace. 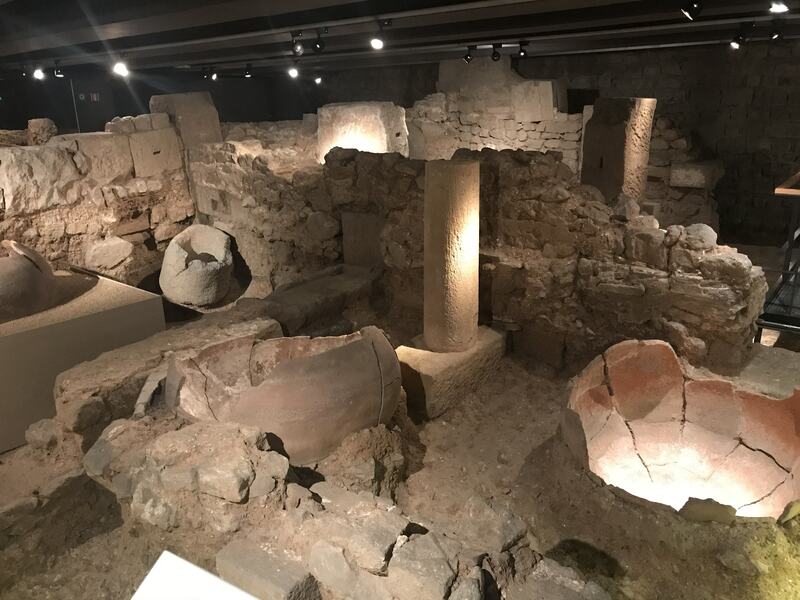 And it’s a palace that contains the remains of one of Europe’s largest Roman settlements below ground level, which are all part of the exhibit and open for you to see! How long will you need? A couple of hours to see it properly. Where? There are more options than you’ll cover in a few days, ranging from the big, popular ones like Plaça Reial and Plaça de Catalunya , as well as lots of smaller and quieter ones like Montjuïc and Parc de la Ciutadella. Why go? There’s a lot to do in Barcelona, so it’s nice to take a step back, sit in one of the beautiful public spaces and take it all in! How long will you need? As long as you need to rest and recharge. Why go? I’m not a religious person, but this building took my breath away. While it may never be finished, what is there is the most spectacular building you’re ever likely to see. How long will you need? A good 2 hours. Cost? Basic tickets start at €15 per person. Why go? Even if you’re not a football nut, the team means a lot to the city, and it’s a pretty impressive stadium and museum. It’s also really well set up for non-football fans, so even if you don’t know the first thing about the game, it’s still worth the visit! How long will you need? Half a day. Why go? If you’re a shopper, you’re going to love this area. 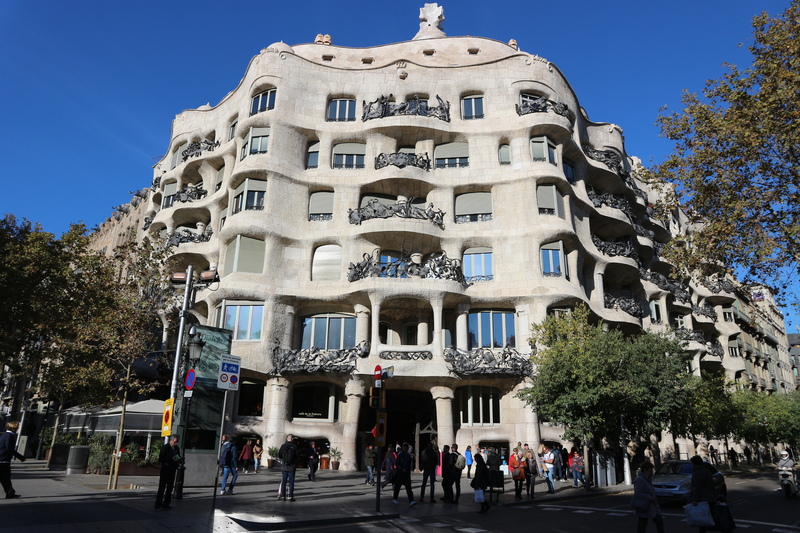 Ditto if you love some good architecture – buildings like Gaudí’s La Pedrera are on every corner! How long will you need? Spend a few hours exploring and looking and shopping. When one spends 4 months travelling the world with the majority of that time spent in beautiful (but freezing cold) winter cities, one must drink a hell of a lot of tea to keep warm! While it might not be hard to find somewhere to get yourself a cup of tea (or coffee, for that matter) – hello, Starbucks – a true tea shop is a thing of beauty. It’s always a lot more calm and pleasant than a chain hurry-up-and-caffeinate-me outlet, the customers are much happier to slow down/stop completely, and in winter especially, there’s no where better to cosy up for a timeout from the cold. For me, personally, the tea shop signifies a retreat and sanctuary; I’m an anxiety-afflicted introvert, and I like nothing more than tucking myself away into a corner with a pot of tea and a book or my journal. So having travelled non-stop for 4 months, the tea shop stops were like a signal for my mind to calm down and decompress. Needless to say, there were many tea shops visited while we were away, but some stood out more than others; here’s a little compendium of my favourites 🙂 Oh, and not all of them are your traditional sit down and order shops – I’ve listed a few where you can buy the tea without sitting down to drink a pot first. 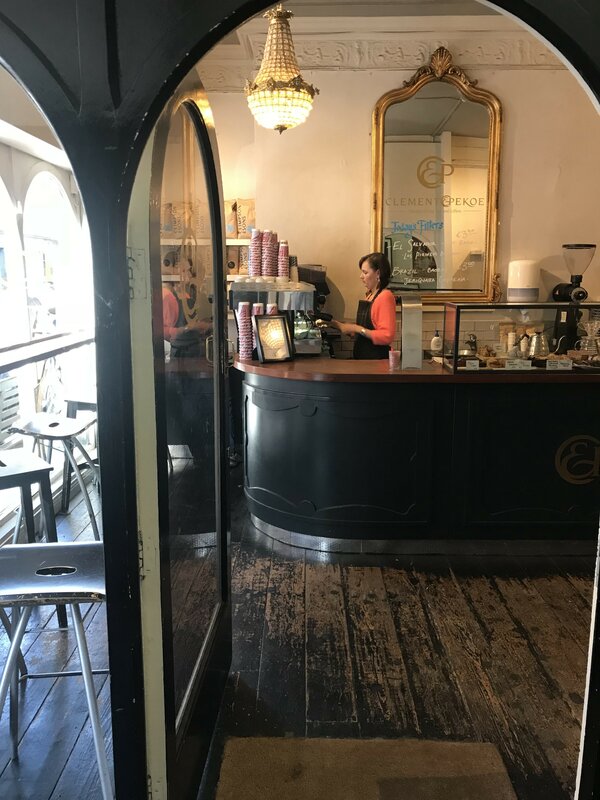 Visit: Creaky old wooden floor boards, lovely helpful staff who are more than happy to recommend a brew, delicious scones with jam, and that general warm, cosy, homely feel you want from your Irish tea shops! Variety: 50+ teas to choose from. Try: Assam ‘Corramore’ – a 2nd flush Assam that makes for an indulgent morning cuppa. 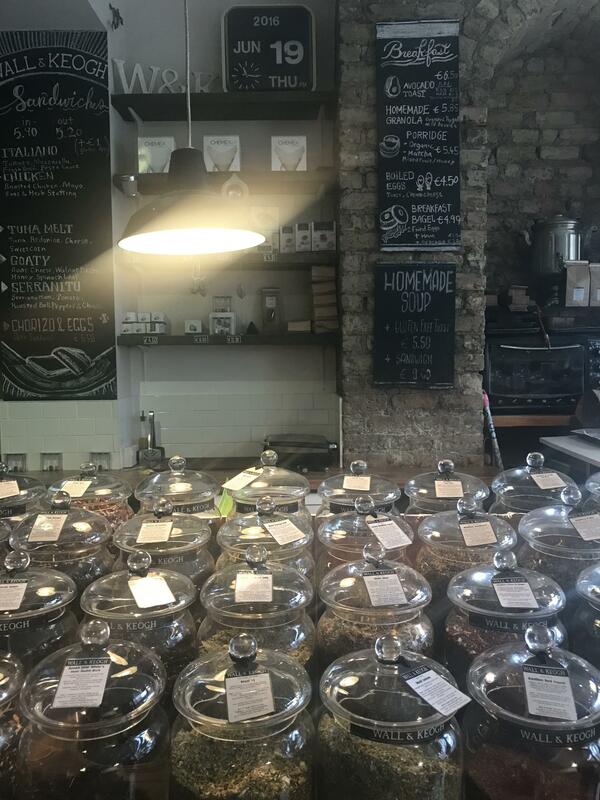 Visit: London’s oldest tea shop and Twinings flag shop store, the narrow walls are lined with bag and loose leaf teas from the Twinings range. You can purchase boxes of tea, or just single tea bags if you want to sample a few flavours. And as a bonus, there’s a teeny tiny ‘museum’ at the back of the store! Varieties: just about everything Twinings makes… which is a LOT of variety! 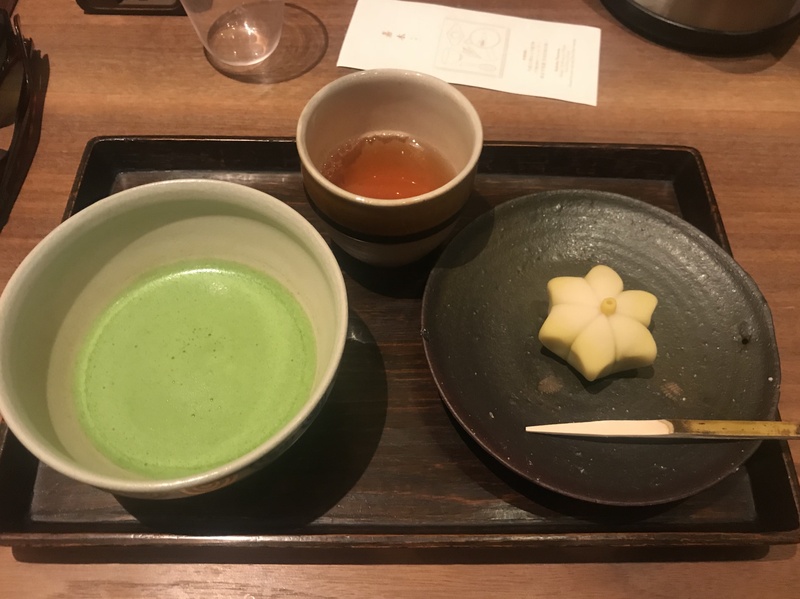 Visit: This beautiful tea house sits overlooking the water in the middle of the gardens, and they offer a simple tea ceremony; you can have your matcha with or without a typical Japanese sweet, and you can buy some to take home with you. 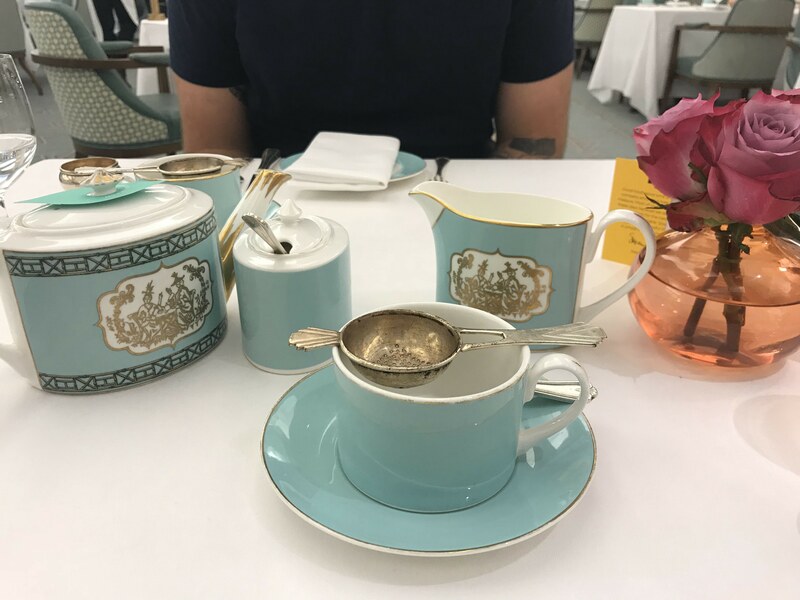 Visit: When in London… I couldn’t leave without taking high tea, and the Fortnum & Mason Tea Salon was perfect. Their tea salon menu is quite extensive, and most of their teas are available to purchase after you’ve stuffed yourself full of finger sandwiches and scones. Excellent quality tea, and exceptional service. Try: I loved the Royal Blend for a good, rich black tea – yup, took a bag of that home, too. Visit: An Alice in Wonderland themed cafe, they have the a deliciously extravagant variety of sweets served up by the friendliest staff to go with the brilliant tea collection. And you can buy after you’ve tried, by weight. Varieties: 50+ to choose from. Try: Mauritius black tea with a hint of vanilla, and of course their signature Alice’s tea, a blend of Indian black and Japanese green teas with rose petals and berries. Visit: Tucked away in one of the city’s undercover walking streets, this little bakery is one of the best places to do tea in Paris. The selection of cakes kind of necessitates more than one visit, as does the tea list. And if you’re not sure what to pair with your cake, just ask one of the lovely staff for a recommendation. Varieties: I can’t find a menu online for a definitive number, but there were a few dozen from what I remember. Try: A classic Earl Grey pairs up pretty well with a lot of the sweets. Visit: The Tokyo store has the added bonus of tea room on site, so you can sample some of the teas before you shop. It’s all quite a hands-on experience, where you’ll be taught the intricacies of brewing the tea youve chosen, so you’ll know exactly what to do at home. Try: Mantoku Gyukuro green tea. Visit: We actually didn’t get the chance to visit the tea house itself, because we found them set up at one of the Christmas market we went to! They had a pretty impressive range for a market stall, though, so I imagine there’d have been even more to choose from in store. You can order online, though, which is nifty! Try: I went with the Bourbon Orange Christmas Tea, because it reminded me so much of the mulled wine we drank at the markets! Visit: This isn’t unique to New Orleans – there actually heaps of stores scattered around the United States. It just so happens this is where I first found them! 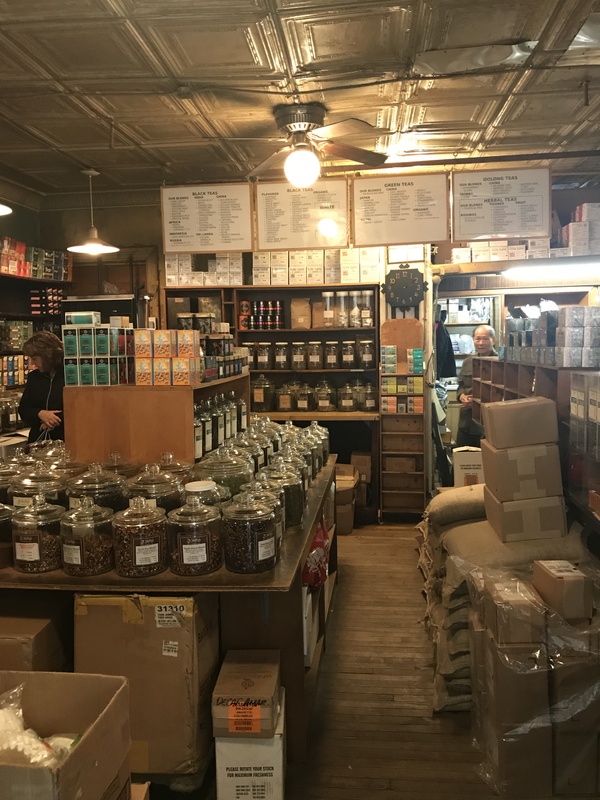 Along with tea, they also have a heap of different herbs, salts, spices, salts, seasonings and oils – it’s a gourmand’s heaven. The New Orleans store itself is cosy and welcoming, with very knowledgeable staff for when you just can’t choose. Visit: This is one of the most perfect little tea shops you’ll ever find. 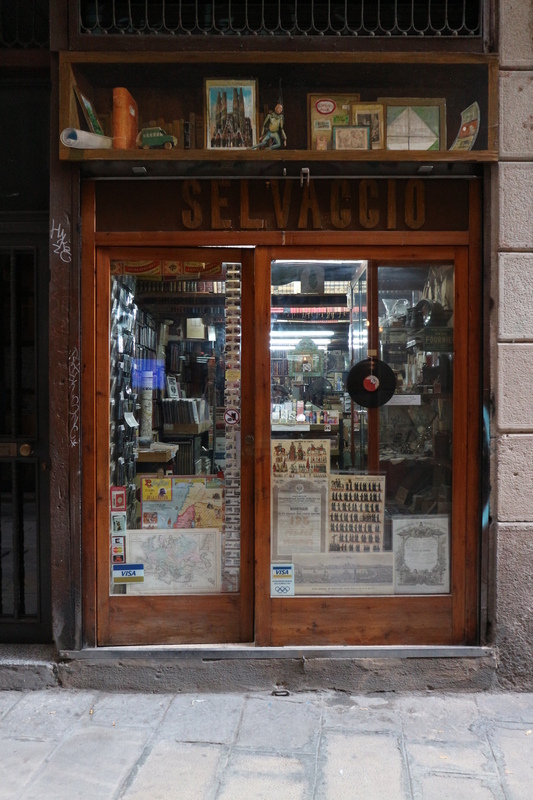 Hidden in plain sight, it’s like stepping back in time. It’s organised chaos as you navigate through cardboard boxes on the floor and dozens of glass jars on the benches. And the smell is absolutely extraordinary! And if, like me, it all gets too much and too overwhelming, help is on hand to help you pick the perfect leaves. Try: I love the Golden Assam Khongea Estate for a rich black tea. Visit: We found this place utterly by chance, when one afternoon in Saint Germain, we were getting tired and needed a rest stop. We turned down a street and saw this place, and it looked too warm and cosy to pass up on a frosty winter’s day! Mr José Da Rosa’s establishment is a gourmet grocer/bar/tea house where he offers teas of his own creation (after being certified as a tea master). And if tea isn’t your thing, there’s always beer and wine! Varieties: A dozen or so (for now). Try: No.13 mint & green tea. Visit: This was the sort of place that would be my regular if I lived in the area – a gorgeous little nook downstairs has space to get comfy and read, write, drink and catch up withy friends. Upstairs hosts a tiny café so you can be fed as well as watered, and the staff were some of the nicest and most knowledgeable I’ve ever come across. Try: I took some coconut milk mate and some milk oolong – both phenomenal! 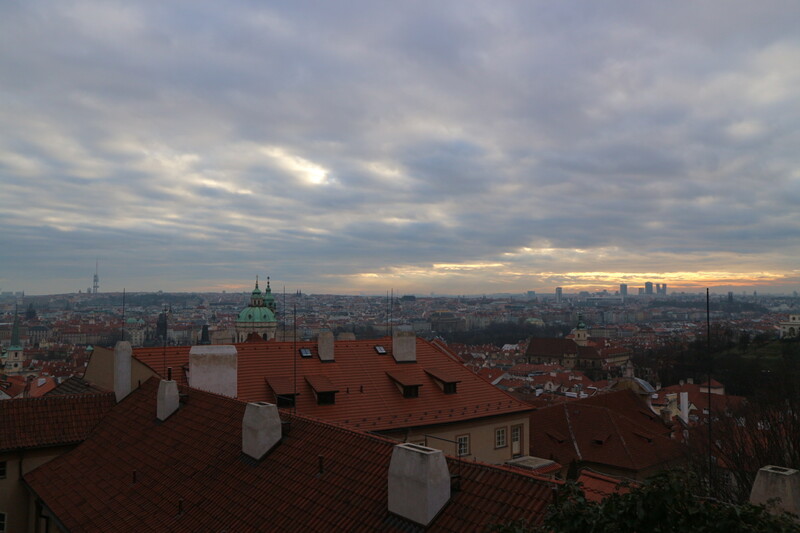 I thought I’d kick off the new year with one of my favourite new cities – Prague was incredible! It was one of the cities I picked out for this trip because it looked beautiful in photos I’d seen, and sounded fascinating from the books and blog posts I’d read. 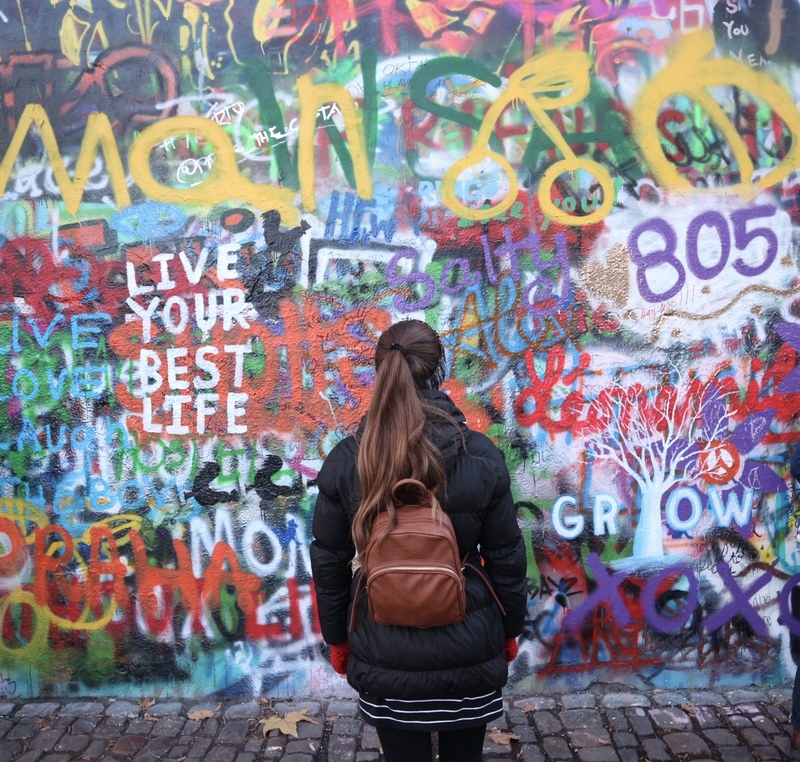 Expect to see a lot more about this gorgeous city here in the coming months, but for now, here are 10 things you can add to your Prague bucket list! 1. Eat some seriously good traditional home-style food at U-Medvidku. Why go? They’re a restaurant, hotel and brewery all in one, and the food is warm plates of pure comfort. 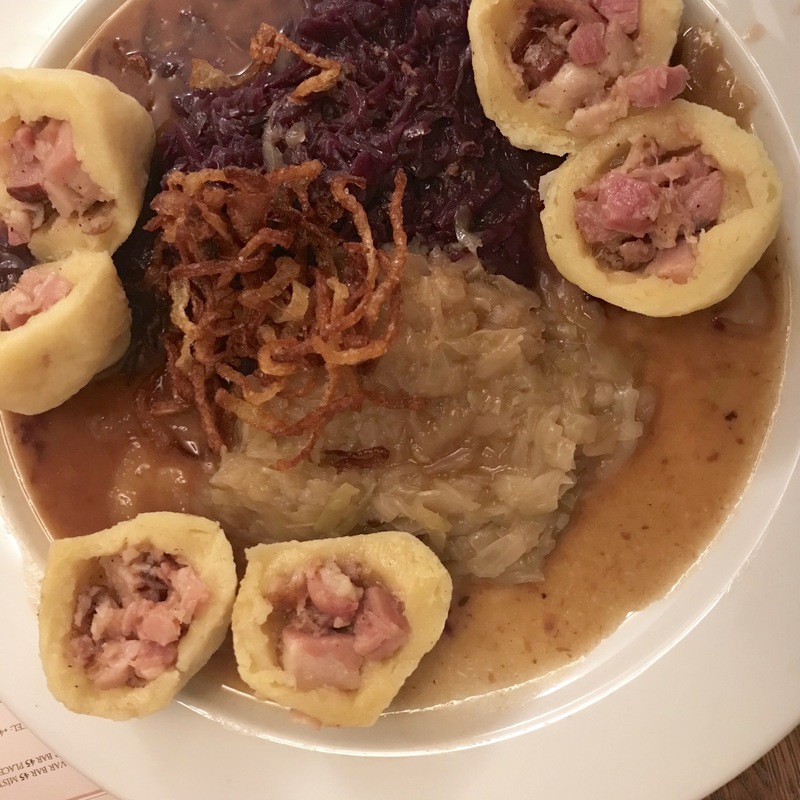 I highly recommend the potato dumplings filled with smoked ham on a bed of red and white sauerkraut – it looks almost as unappealing as it sounds, but it’s one of the best things I’ve ever eaten. So much so, we went back the following day to order it again! How long will you need? An hour or so for a good meal – food actually comes out pretty quickly, but you’ll want time to enjoy it! 2. 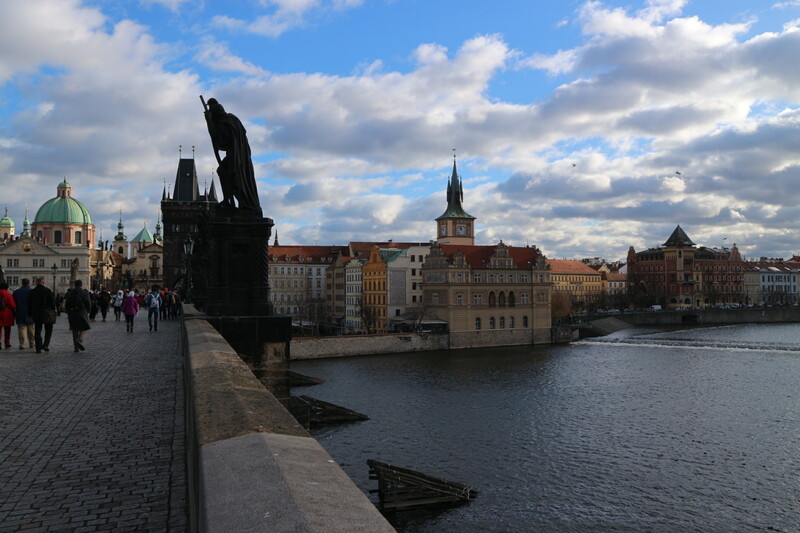 Cross Charles Bridge – duh. Why go? Don’t expect it to be quiet and romantic; it’s as packed with tourists as the Brooklyn Bridge! If you’re willing to get up and go early in the morning, you’ll enjoy a nice sunset with less people around, otherwise join the throngs later in the day and enjoy! 3. Then, see the bridge from above, at the top of the Old Town Bridge Tower. Why go? After crossing back into the Old Town from the lesser town side, you’ll reach the beautiful Old Town Bridge Tower. 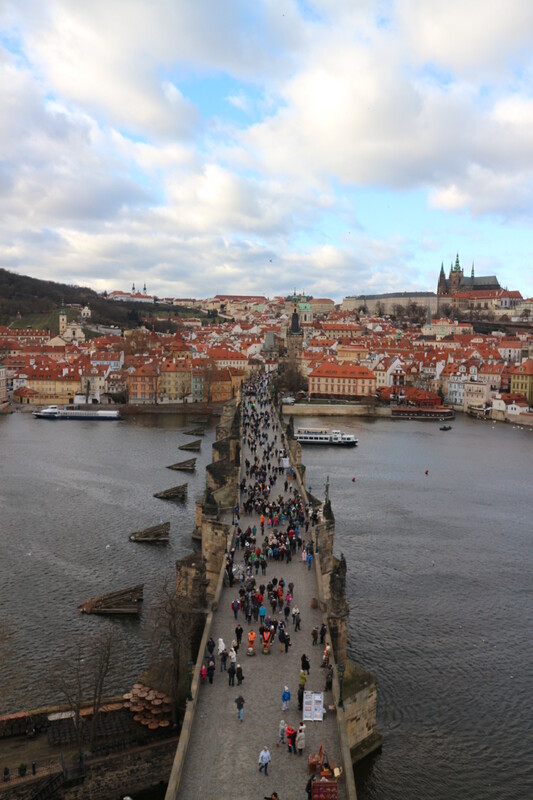 Most people we saw stopped to snap a photo of it, but very few seemed to notice the little entrance – head in, pay around AUD$6.00 for entry, climb the stairs to the top, and be rewarded with the best view of Charles Bridge in the city. 4. Take the stairs on Zámecké schody to Prague Castle. Why go? Most people enter the castle complex on the opposite side, via the Old Castle Stairs, but that’s actually starting at the back – it was meant to be entered from the first courtyard. But that’s not the only reason; the view out over Prague from the top of the Zámecké schody stairs is unbeatable, especially around sunrise. 5. 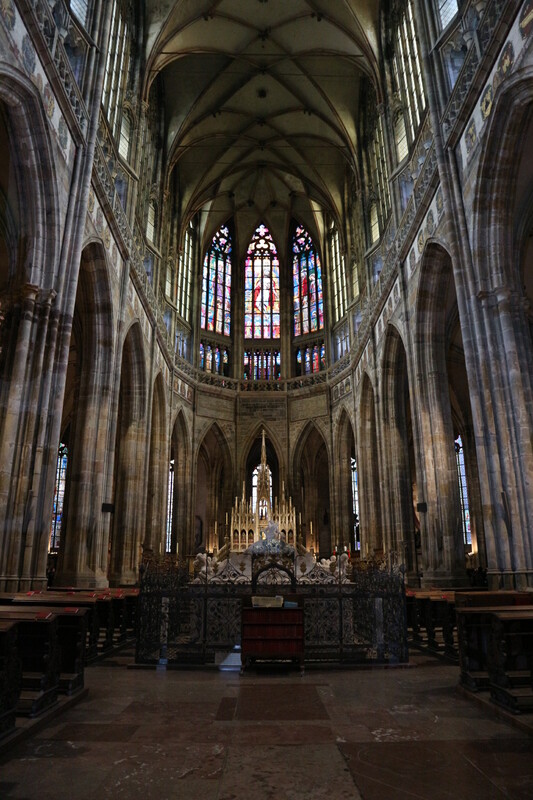 Buy a ticket at Prague Castle to see more than just the outside of the buildings. Why go? There are a few options depending on how much or little you want to see; we went with the middle ground and bought tickets for “Circuit B” which included access to the incredibly imposing St Vitus Cathedral, the Old Royal Palace, St George’s Basilica and Golden Lane (you’ll find Frank Kafka’s house among the tiny colourful dwellings here). 6. Indulge your sweet tooth at Café Savoy. Why go? 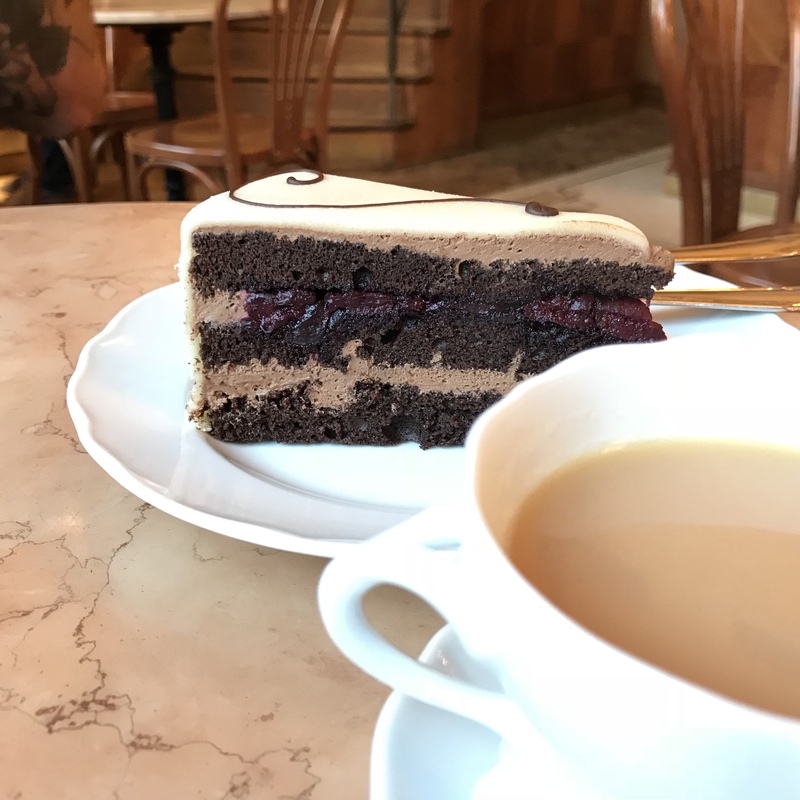 It’s one of the most opulent places you’re ever likely to eat cake, and they have a great big tea list, too! 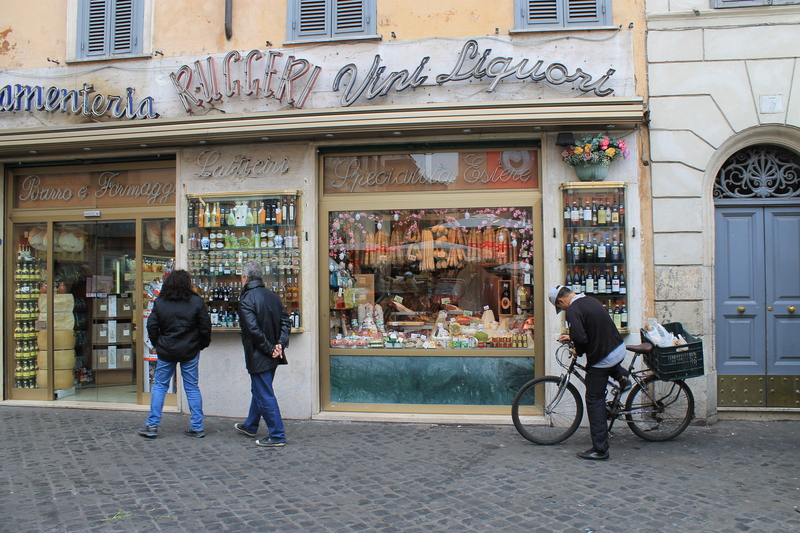 It’s also great for a spot of people watching, with locals and tourists both pouring through the doors. How long will you need? How much cake do you wanna eat? 7. Feel the love at Lennon Wall. Why go? While the man himself never had anything to do with the wall, he became a bit of a hero to the pacifist youth when he died in 1980 – his songs of peace and freedom were a pipe dream to many back when Communism was king – and for whatever reason, they took to this wall to paint their own messages. So many of us take our freedom for granted now, so it was actually pretty moving to stand before this wall that so many young people risked their lives to promote that message on. 8. Try one of the city’s most famous street foods from a vendor in Wenceslas Square – fried cheese. Why go? Yup. 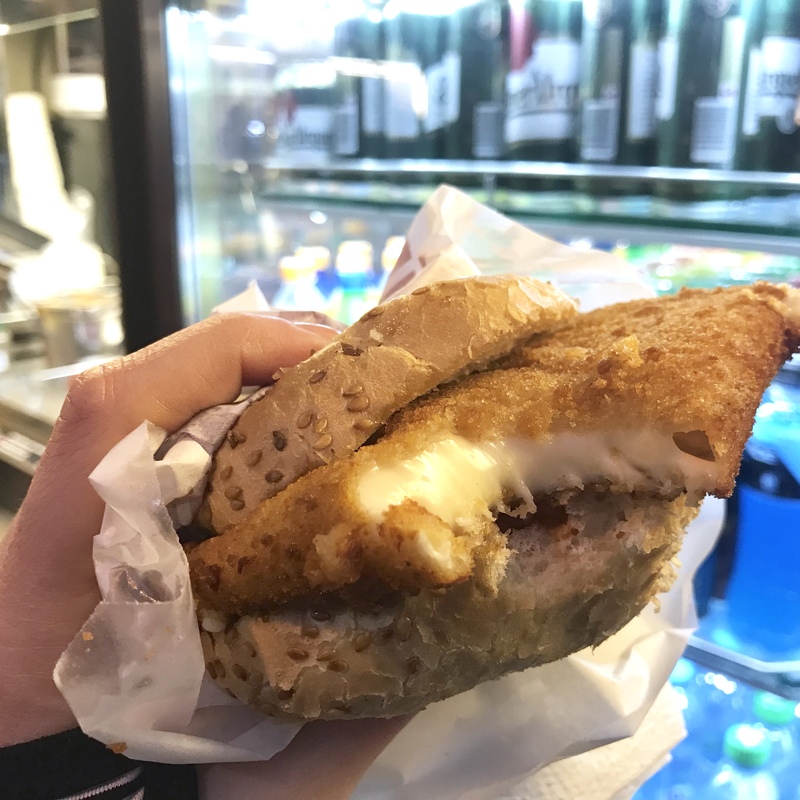 A solid chunk of cheese, crumbed, deep fried, and nestled in a bread roll. Add a little mustard and mayonnaise, and tell me that’s not the greatest thing ever. How long will you need? 30 seconds… it’s so good it won’t last long! 9. 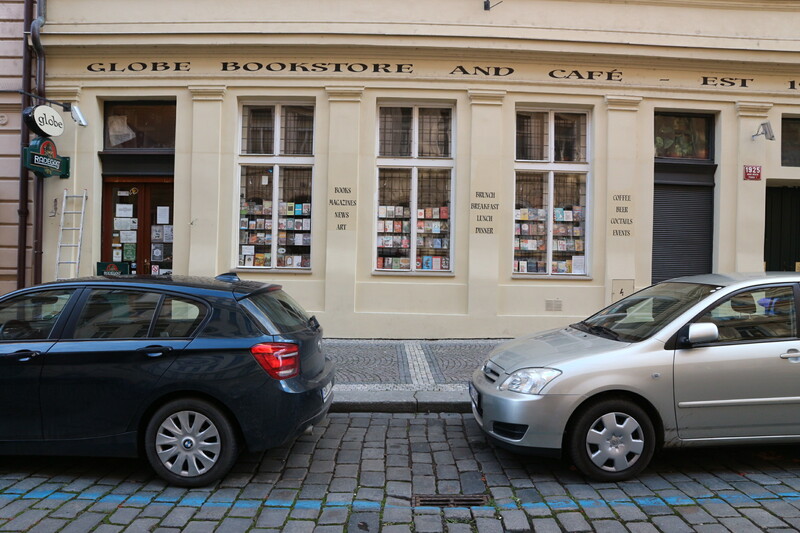 Shop for books at The Globe Bookstore. Why go? While there are a few book stores floating around the city, this one was the first in the city to stock English language books, and it was the best one I found. They also have a great little café/restaurant in there with surprisingly good and well priced food. 10. Walk up Celetna Street into Old Town Square. Where? 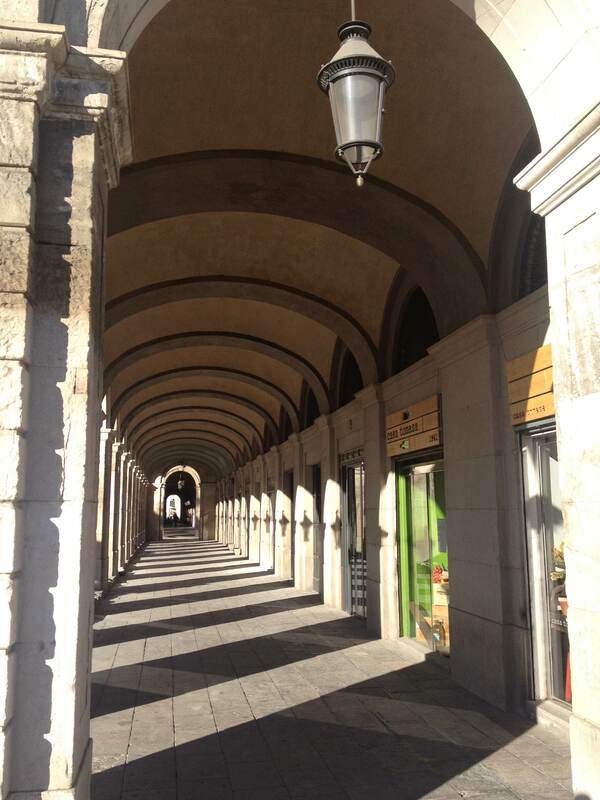 Celetna Street – just follow it all the way to Old Town Square! Why go? 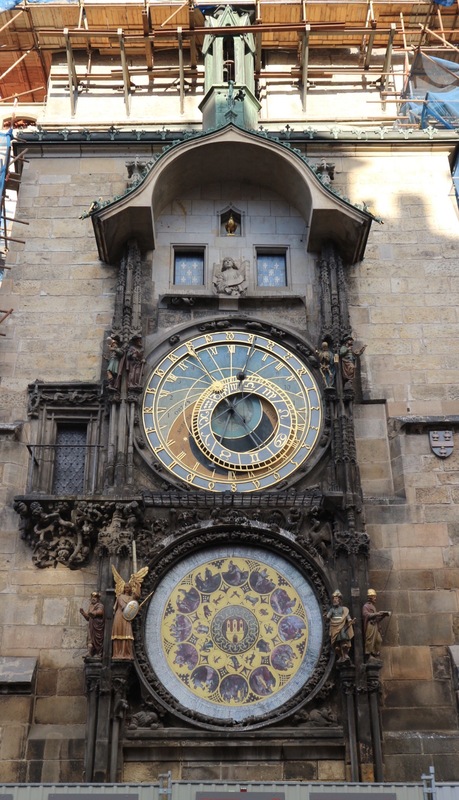 Because you can’t possibly leave Prague without seeing the Astronomical Clock! Celetna Street itself is one of the oldest streets in the city, and it’s unbelievably beautiful. And the clock really speaks for itself – it does get super crowded on the hour for its little song-and-dance routine, but it’s absolutely worth seeing! In the course of our trip planning, I spent many hours trawling through travel blogs and websites, trying to find the most helpful information I could, in order to plan the best trip possible. For the most part, that wasn’t too hard, but when it came to Switzerland, I honestly had no idea. We wanted a good mix of places we’ve been to before that we wanted to re-visit, and some cities that we didn’t know a lot about, so we’d have something new to discover. I threw Bern into the mix, and husband said “yeah, why not? !” Great. We’re going. Now what?! I picked Bern because it looked like a really pretty, charming Swiss city, but not as busy as Zurich or Geneva, and I figured it’d be the perfect city to slow down for a while in. I started Googling, and found that there’s actually a bit to do around there, if you want to, which led me to looking for rail information. 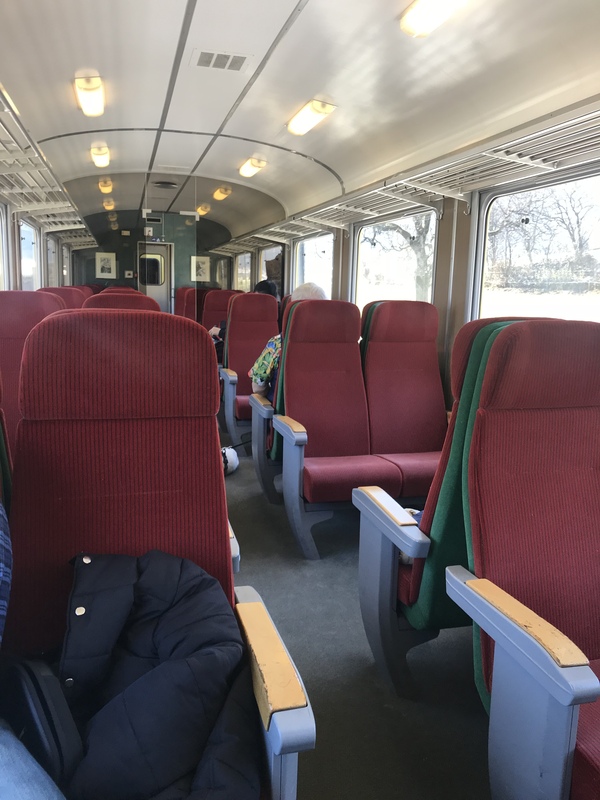 After spending some time trawling the internet, I landed on MySwissAlps.com, a cornucopia of helpful information for someone with no idea past “it looks like a pretty place to visit” but still wanted to explore by train. 1. Rail: the place to ask ALL questions about rail travel. 2. Accommodation: the place for all things accommodation, including the more niche spots (eg. where to base yourself if you’re going to hike). 3. Trip Reports: the place for travelers to post their itineraries and talk about how their trip went. While we already had a pretty good idea of what we wanted to do, it was great to browse the forums and look at other ideas. It was also nice to see how helpful users were when someone asked for help with an itinerary! And when it came to finding information on specific cities, I found it easiest to just type the city name into the search box rather than hunt through the site. 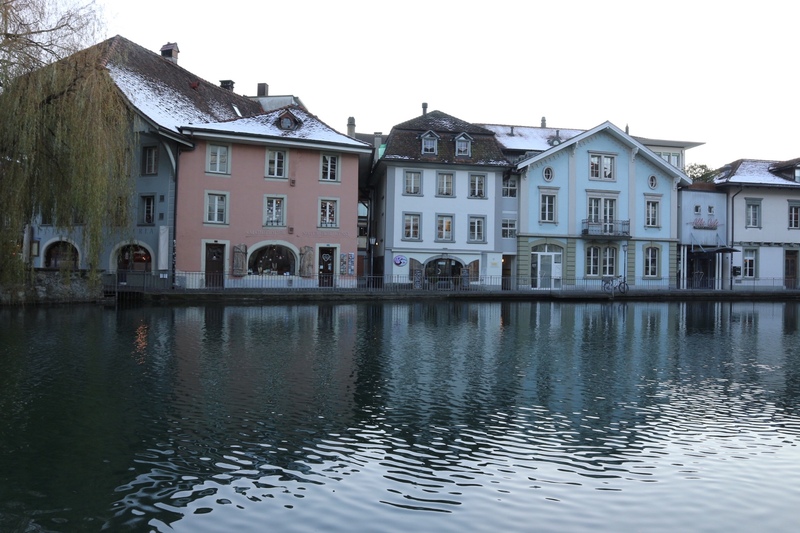 A good example was Thun – I’d seen some beautiful pictures of the place and that got my attentions, but I didn’t know what else there was to see or do there. A quick search showed me So, I typed “THUN” into the search box gave me options for boat trips, hiking paths and sightseeing options. How did we make this work by train? It actually couldn’t have been easier; as I mentioned before, there’s no need to purchase multiple one way tickets, nor do you need to worry about booking tickets in advance. 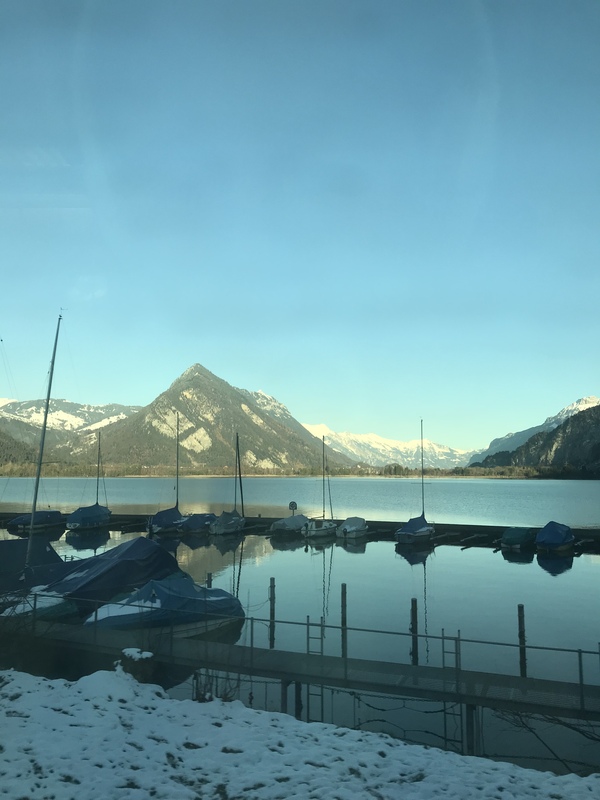 Just buy a Bern to Grindelwald return ticket at Bern’s main railway station (around CHF 80 per person) and you can break your journey at Interlaken in one direction and Thun in the other! Easy! What did we do there? 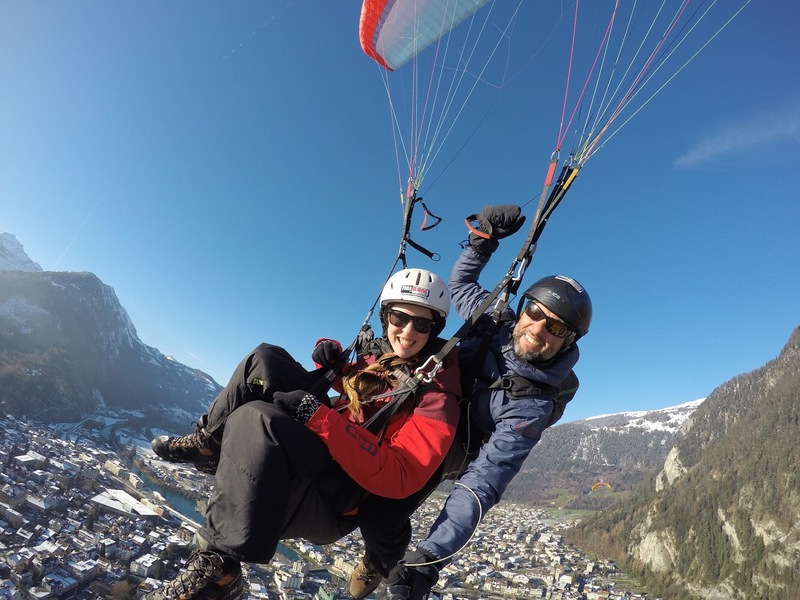 – I went paragliding with Paragliding Interlaken, and couldn’t recommend them more highly – complete professionals and so much fun! – If you’re a shopper, you’ll love Interlaken’s bounty of boutiques. – And chocolate. Swiss chocolate. From the Swiss Chocolat Chalet; get a 200g bag of mixed chunks of chocolate (milk choc hazelnut, dark choc almond, that kinda thing) for CHF 12.80. 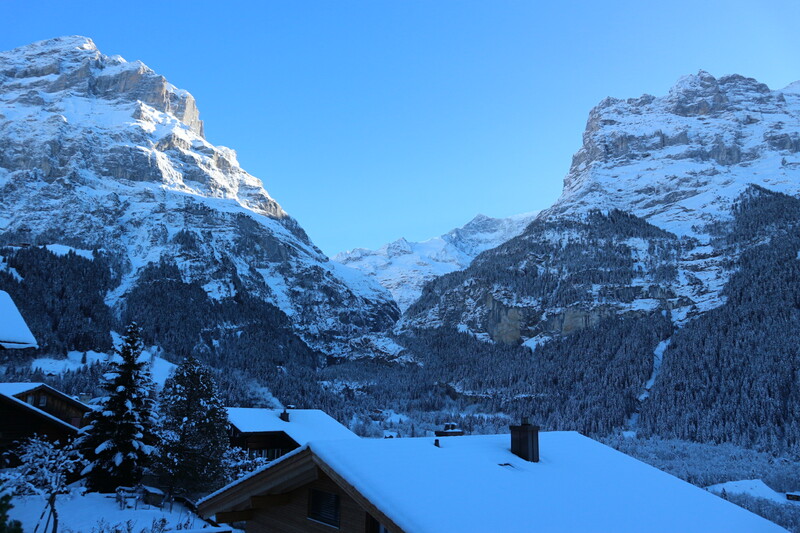 Why go to Grindelwald? 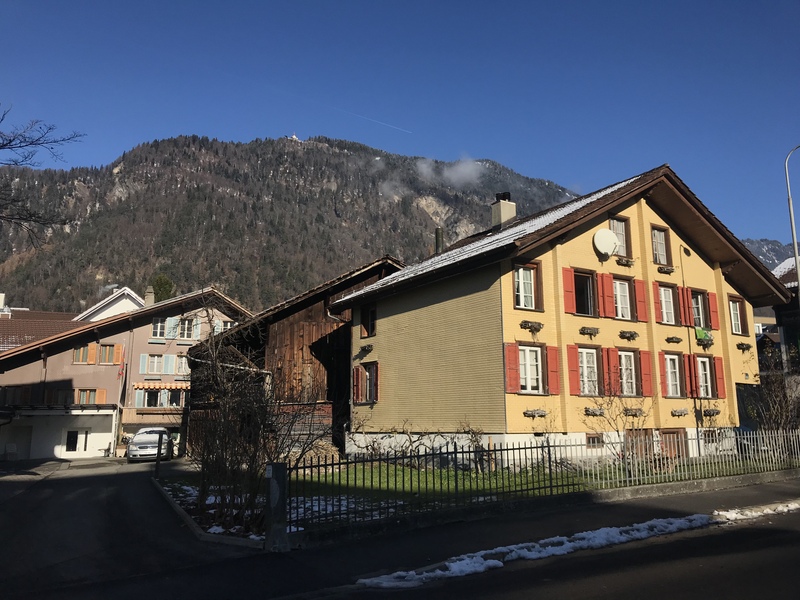 It’s a good base for the snow bunnies, but for the rest of us, it’s an incredibly beautiful town sitting around 1000m above sea level and surrounded by mountains. – Walked around the village and stopped every few metres to admire the view! 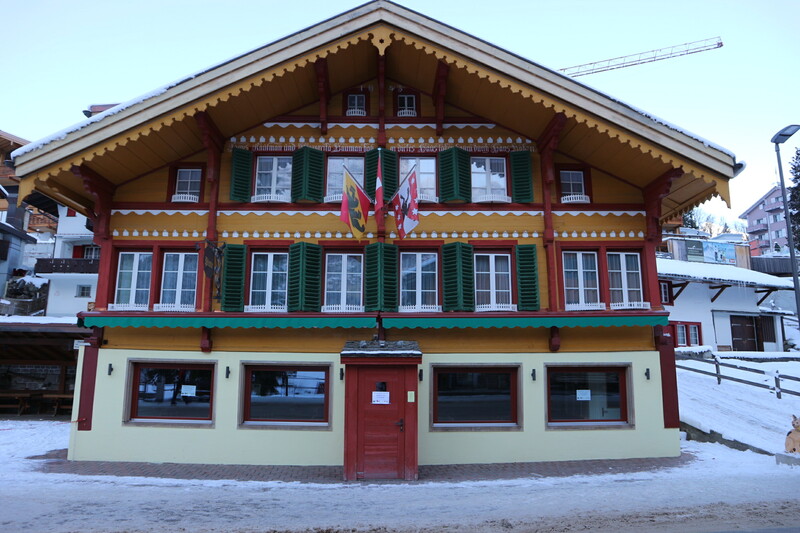 – Lunch at Alte Post – think old-style, straight out of the movies wooden chalet with a cosy interior and homestyle cooking! 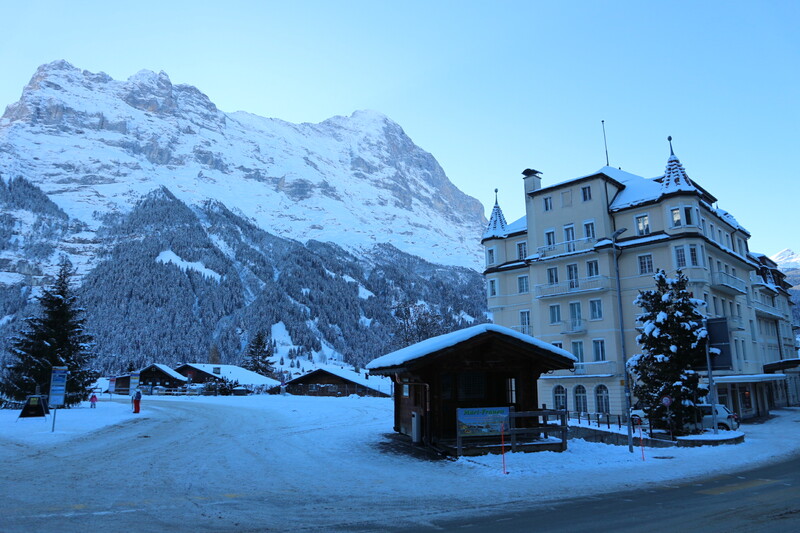 – You can also easily get to the ‘top of Europe’ at Jungfraujoch from here. – This is another great place for shoppers, but less high end designers and more every day affordable stores! Get onto the islet in the centre of town and walk the main street Bälliz. 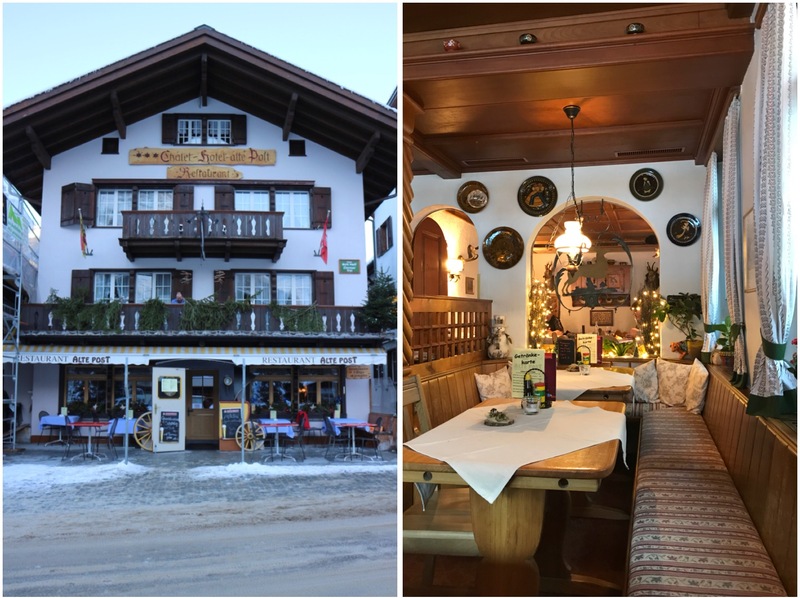 – For multi-cultural restaurants, cafes and a more personal shopping experience, try Obere Hauptgasse street; think hand crafter jewellery, second hand book shops, and small fashion boutiques. 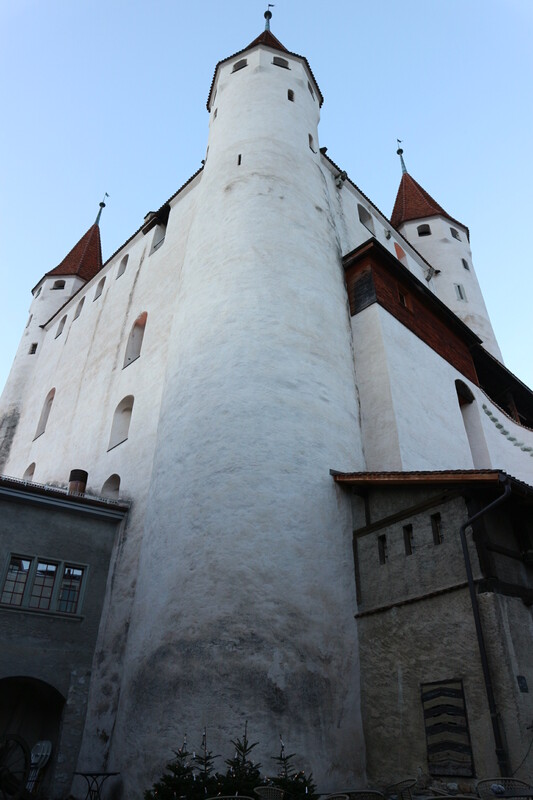 – Thun Castle was beautiful – a bit of a climb with a view more than worth it! There’s a restaurant and shop in the castle walls which can be accessed by anyone, then it’s a CHF 10 fee for some extra access including the museum exhibits. And your last train is an easy 20 minute ride direct from Thun to Bern! The stations are all well signed in terms of which platform you’ll need to get to which city, and there’s no need to validate your ticket – just hold onto it so it can be checked by one of the train conductors when they walk through. And that’s it! Three towns in a day: no tour bus or guide necessary! Mumma bear and I recently had dinner, and were reminiscing over memories of Europe… I was there in early 2013 with the husband, she went… ages ago, actually, with one of my sisters, for a few weeks. I loved spending time in America, and South East Asia is always completely fascinating to me, but I think Europe will always be my favourite place to visit. 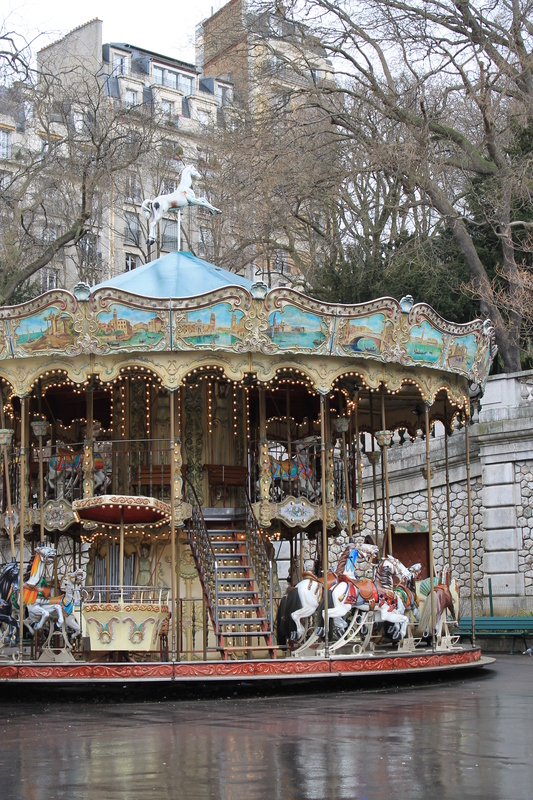 This is one of my favourite ever photos, one of the most beautiful things I’ve ever captured (through my eyes it is, anyway)… a cold, drizzly day in Montmartre, and this gorgeous, bright aqua carousel top was like a beacon through the grey. It was pretty lonely looking, with the crowds being kept away by the rain, but it was like a beautiful kind of loneliness.. 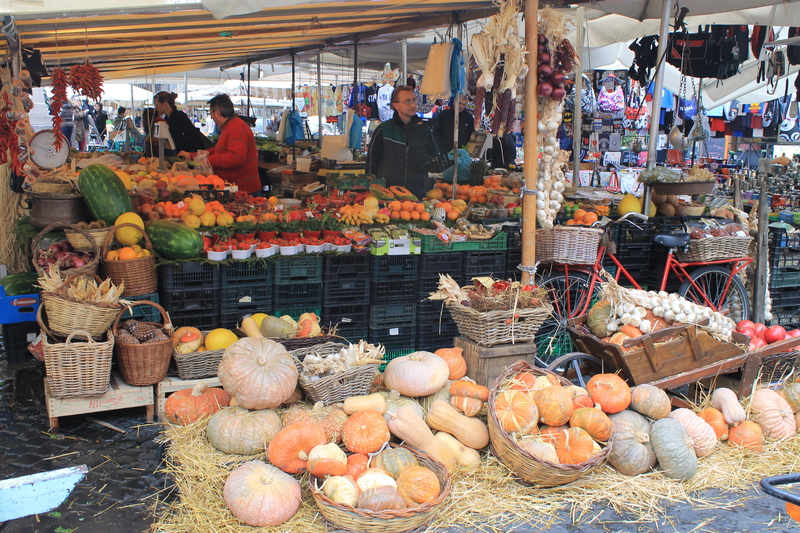 I believe that the only true way to get to know a new place is to eat what the locals eat, and visit their markets. Everywhere I travel to involves hitting up the local markets. 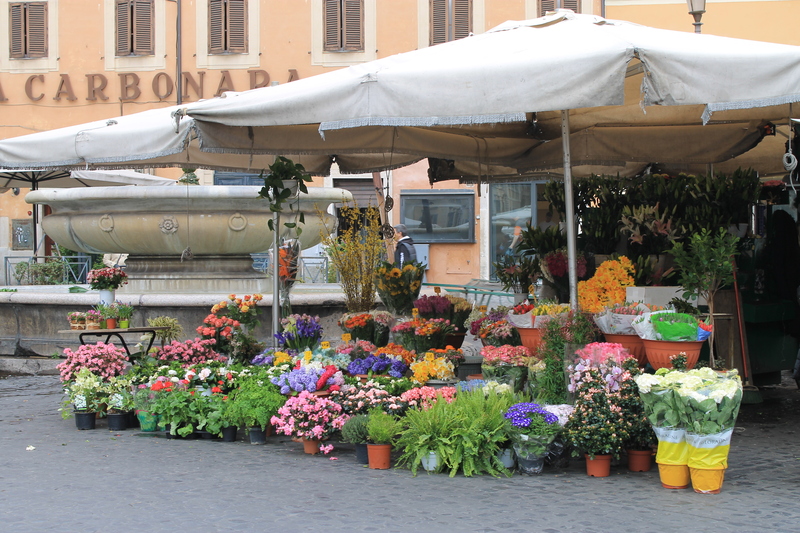 Here’s a little glimpse into the Campo de’ Fiori market in Rome – it was a really cold morning, but that just made it even more beautiful!